Here we are…smack dab in the middle of flu season. If you’re one of the lucky ones with natural super-hero immunity, you can get thru the season unscathed. However, for many of us, we need a plan B. So what are the options? 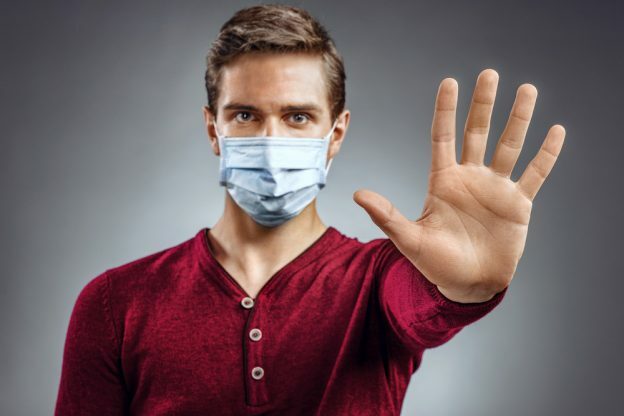 Dr. James Odell recently addressed this question in his article, “Opting Out of the Annual Flu Shot.” Here he defines influenza as a respiratory infection caused by Type A and B influenza viruses. So, it appears that the majority of illnesses that present flu-like symptoms do not even fall within the main influenza category. Why would you consider an unnatural approach to fighting off “the flu” when the odds are you don’t have the disease the preventative shot is targeting? This contradicts the holistic approach to staying healthy. There can be even more serious complications including brain inflammation, convulsions, paralysis or several others. Of course, these are less common, but do you want to take the chance? In 2016, there were 2,954 claims filed in the federal Vaccine Injury Compensation Program (VICP) for injuries and deaths following Influenza vaccination, including 109 deaths and 2,845 serious injuries. For more detailed information on what ingredients are in flu vaccines, check out these Vaccine Ingredients or the University of Oxford’s list. Vegans and vegetarians may be surprised. You can see a break down of potentially harmful items such as aluminum and Thimerosal, which is a compound made of 50% mercury—the second most poisonous element known to man. And, although the vaccine you receive may contain “trace amounts” of Thimerosal, that still means that mercury is being injected into your bloodstream. Read more from the CDC’s “Understanding Thimerosal, Mercury and Vaccine Safety”. What are Natural Flu Fighters? A simple look at disease statistics shows that our bodies lack fundamental resistance and vitality: of adults over 20 years old, 32% are overweight, 34% are obese, 22% have arthritis, 23% have chronic joint symptoms, 11% have diabetes, 12% have heart disease, 8% have a form of cancer. Source: CDC (Centers for Disease Control), NIDDK. So anything that naturally boosts the immune system is a great way to ward off the flu and other illnesses. 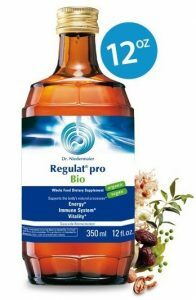 Regulat® products support the body’s own regulatory systems and enzyme balance, promote a healthy blood environment, revitalize and improve energy supply to the cells, neutralize free radicals, and support a healthy immune system. * This is why Regulat® products are recommended by so many health practitioners. So, why not be proactive and safeguard against disease by boosting your immune system naturally? Check out our website for research on Regulat®, and also our Facebook page to learn what other folks are saying about Regulat® and how it helps maximize their health and wellness! This entry was posted in Boosting the Immune System and tagged flu, flu season, flu shot, immunity on February 13, 2018 by Cherie. Lyme disease was first identified in 1975 in Lyme, Conn., which gave it its name. In September 2015, the Centers for Disease Control (CDC) revised their estimates for people having Lyme disease, indicating that there are more than 329,000 new cases a year in the US – an increase of up to 10 times what was previously believed. Unfortunately, many cases are not diagnosed properly and current diagnostics miss up to 60% of acute cases (ref. 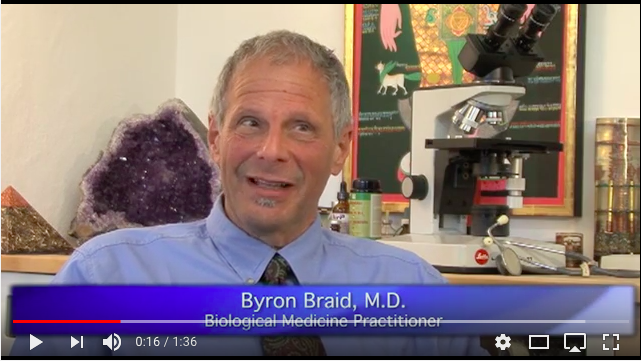 Bay Area Lyme Foundation – http://www.bayarealyme.org). 40% of Lyme patients end up with long-term health problems – the average patient sees 5 doctors over nearly 2 years before being diagnosed. (International Lyme and Associated Diseases Society – http://www.ilads.org). According to Dr. Mercola, “Sometimes the cell wall can collapse around the bacterium, forming a cloaking device that allows it to evade detection by many tests and by your body’s immune system.” For this reason, many fear that Lyme is actually a silent epidemic. Approximately 70-80% of your immune tissue is located within your digestive system, and so-called killer T-cells (the white blood cells that defend against infection), are created in the intestinal system. So building the immune system is highly important for Lyme patients. One of the most beneficial ways to improve your gut bacteria is by incorporating fermented foods into your daily diet. Friendly gut flora found in fermented foods have been shown to survive the digestive process. So they are therefore able to introduce positive changes to the gut, allow it to function more efficiently and help the immune system do its job more effectively. Dr. Byron Braid, who has worked with Dr. Thomas Rau of the Paracelsus Clinic in Switzerland, has a ‘secret ingredient’ that helps build such intestinal efficiency and immunity – Regulat®! Regulat® is a whole food preparation with broad-spectrum phytonutrients, produced by live Cascade Fermentation™. It began in Germany…70 years’ worth of scientific research on plant enzymes propelled the Munich company Dr. Niedermaier Pharma to world fame as the expert in the field of fermented health products. This entry was posted in Boosting the Immune System and tagged antibiotics, immunity, lyme disease on November 4, 2016 by Ashley. I am allergic to some Regulat® ingredients? Can I still take it? Many of our food allergies – such as to nuts or soybeans – are actually an allergic response to the proteins found in these foods. Thanks to the cascade fermentation process used to produce Regulat®, these harmful protein chains have been broken down and are no longer present. In addition, other potentially allergenic substances are also converted into much simpler forms. Patients suffering from conditions that are marked by food allergies and intolerance report high tolerability to Regulat®. We have also developed a sensitive protocol for those whose general food intolerance is very severe. We have found that once people with food sensitivities start taking Regulat®, the body begins a normalizing process, sometimes called a “healing response,” and over time the system becomes more balanced with less issues. This entry was posted in Boosting the Immune System on September 12, 2013 by Colin Davis. 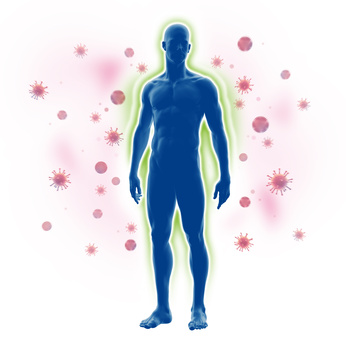 Can Regulat® boost the immune system? Based on scientific research as well as user reports, we can say that Regulat® boosts the immune system and has anti-oxidant effects. * Usually products that are isolates or extracts make such claims, but our supplement is vegan, organic AND a whole food. This is why Regulat® is highly regarded by people concerned about the quality of the supplements they take. This entry was posted in Boosting the Immune System on May 31, 2013 by Colin Davis.